Hey there all you lovely people! It has been way too long since I’ve done one of these. How horrible is that? Between school and work and all of the other stuff going on, I’ve barely had time to write, much less write something that wasn’t school related. In that vein, today I want to share with you a personal piece I wrote recently. I hope you enjoy it! It’s that time of the week again you lovely folks. It’s Sunday! Which, as all of you well know by now, means it’s time for Snippet Sunday! It’s that time again, folks. Who is ready for some more of my gloriously horrific writing?!? I KNOW I AM. It’s that time of the week again! 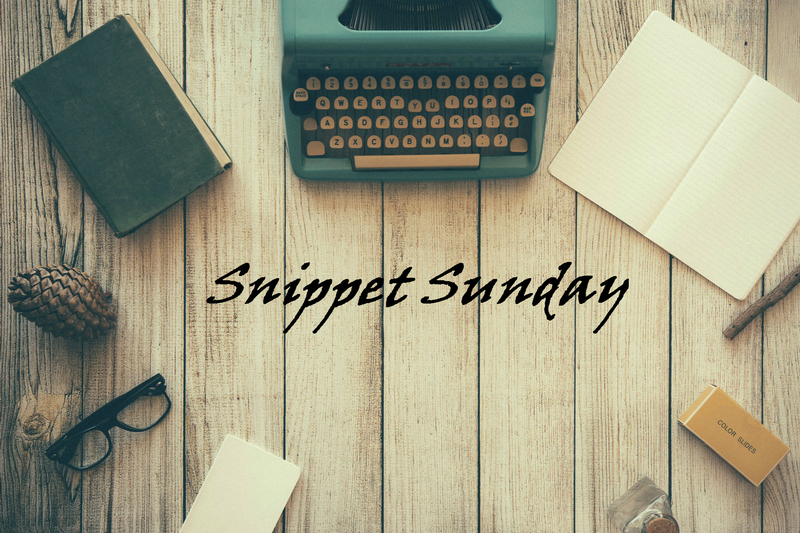 Who else is ready for a new round of Snippet Sunday!?!? WooHoo! First off, I want to apologize for not posting last weekend. I had a huge term paper due Monday and I really needed time to nail it out, so… oopsie? But, I’m back on schedule now that finals are upon me and school is almost out for summer. Back to our regularly scheduled programing now, so, let’s get ready to party!! This week I did a string of Haikus about books for class, and I love them so much I want to post some of them here. I’m not doing all of them, because there were a lot, so I’m doing my favorites. Enjoy! interrupting me would be unwise. The end of you is nigh. dark coffee stains the corner. No such thing as calm. TaDa!! If you guys participated, sound off in the comments below. I can’t wait to see what you’ve done this week.